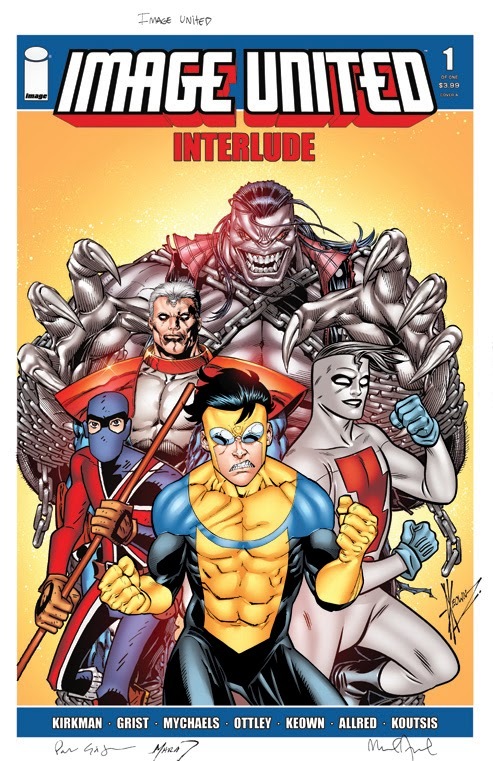 The Best of Wednesday: Image United Interlude Cover - Coloured by Nikos Koutis! Image United Interlude Cover - Coloured by Nikos Koutis! Following the completion of the pen & ink work on this cover, I commissioned Nikos Koutsis to colour it (he coloured the initial solicit). I'm extremely happy with how it turned out. The trade dress was added by myself after getting it back from Nikos.